> Expandable Baton>Swivelling Holder BH-54 for Expandable Baton 16", 18", 21"
Swivelling Holder BH-54 for Expandable Baton 16", 18", 21"
Swivelling holder with UBC-05 type fixture for Expandable Baton 16", 18" et 21". 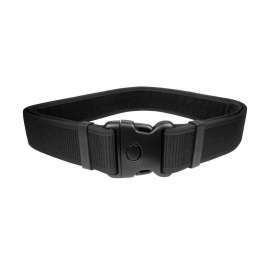 This universal belt clip enables the user to quickly change between different plastic and nylon ESP holders with rotation mechanism. 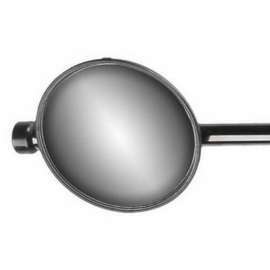 Possibility of carrying the baton in closed or expanded position. 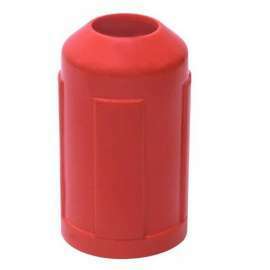 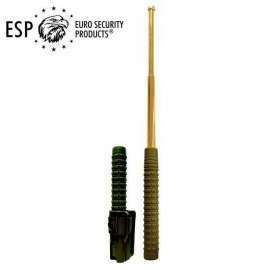 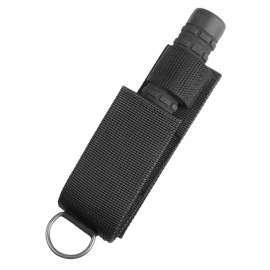 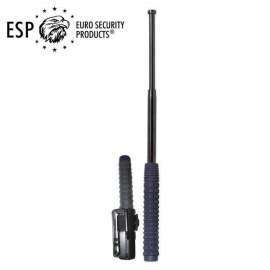 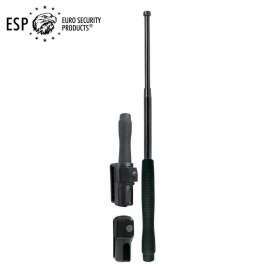 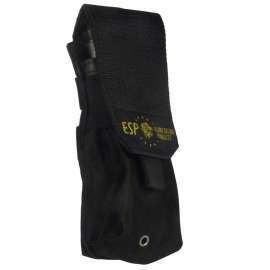 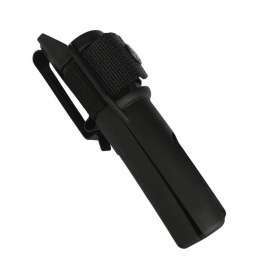 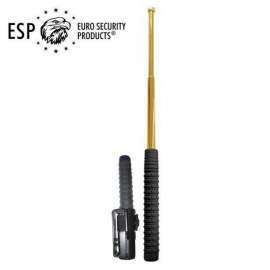 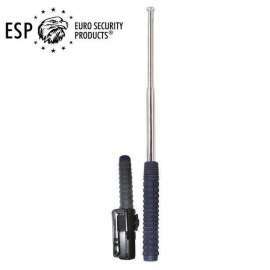 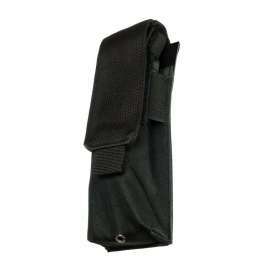 Swivelling holder BH-54 has been designed for professional use of Expandable Baton 16", 18", 21". 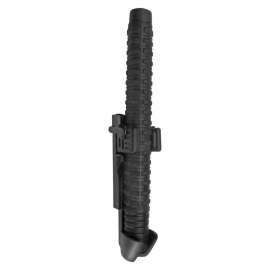 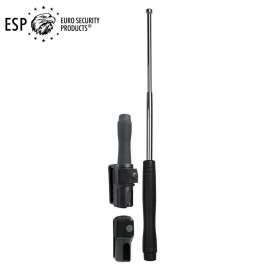 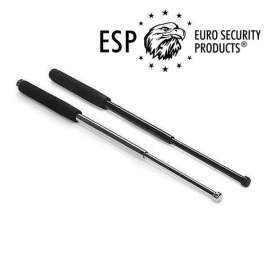 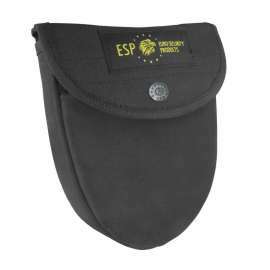 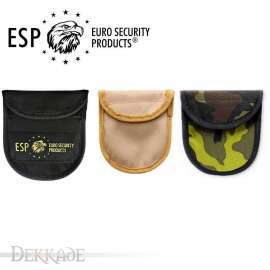 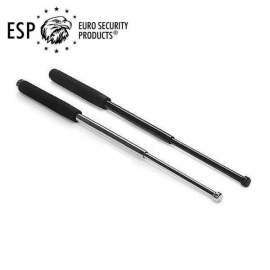 Thanks to its unique patented construction (EP 1832834) it enables a steady fixation of the Expandable Baton in the scabbard and very quick drawing of the baton just with one hand, since thanks to automatic opening of the holder after unfastening of nylon strap there is almost no friction. 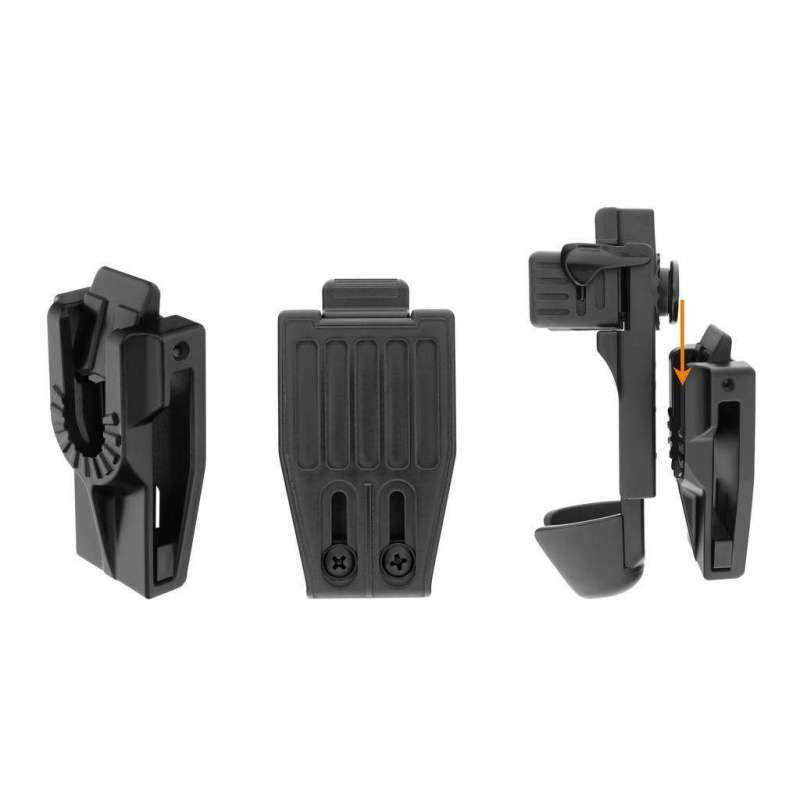 This universal belt clip UBC-05 enables the user to quickly change between different plastic and nylon ESP holders with rotation mechanism. 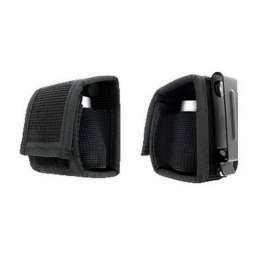 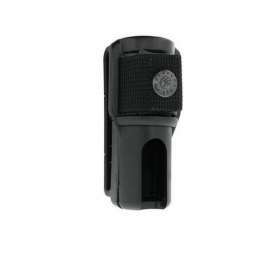 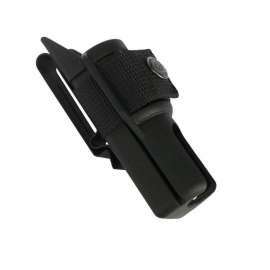 The clip itself remains fastened to the belt – you only need to click on the holder of choice. 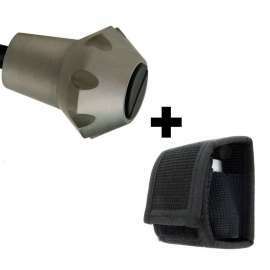 Thanks to this highly flexible system, the user is able to change his or her equipment according to the particular needs at a given moment. 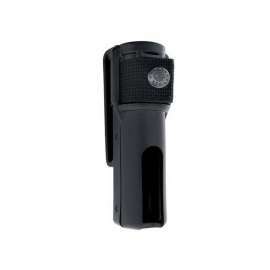 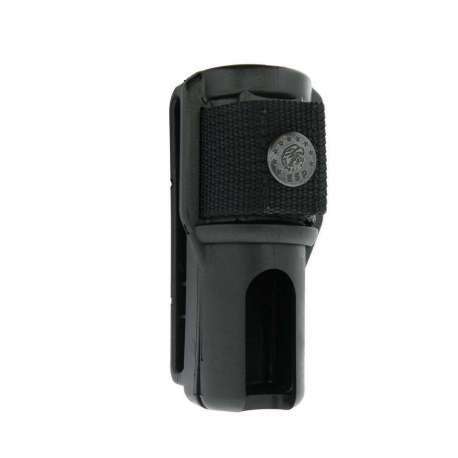 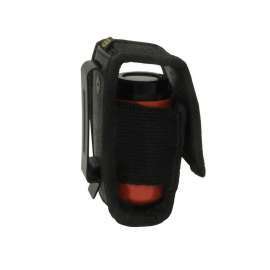 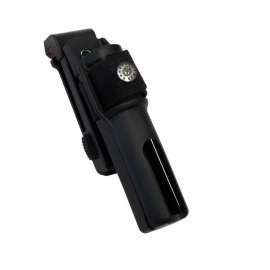 A baton holder can be switched for a magazine holder or for a flashlight holder. 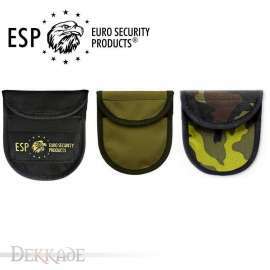 In case of need – for example when the police officer is busy with administrative work – the holders that are currently not necessary can be put away completely. The belt is pulled through the opening in the body of the clip. 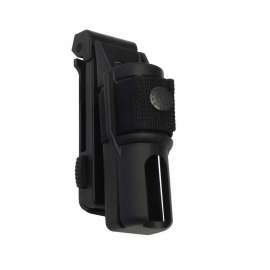 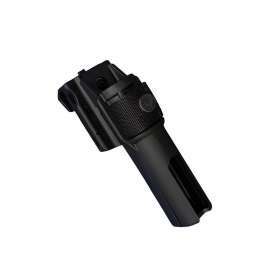 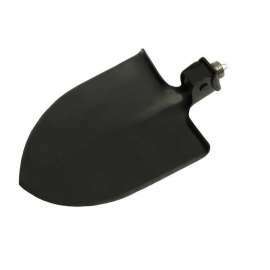 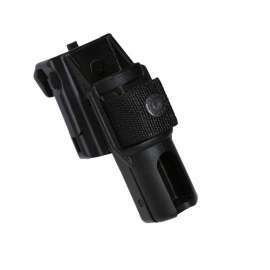 The holder is then slid onto the clip and secured with locking mechanism. 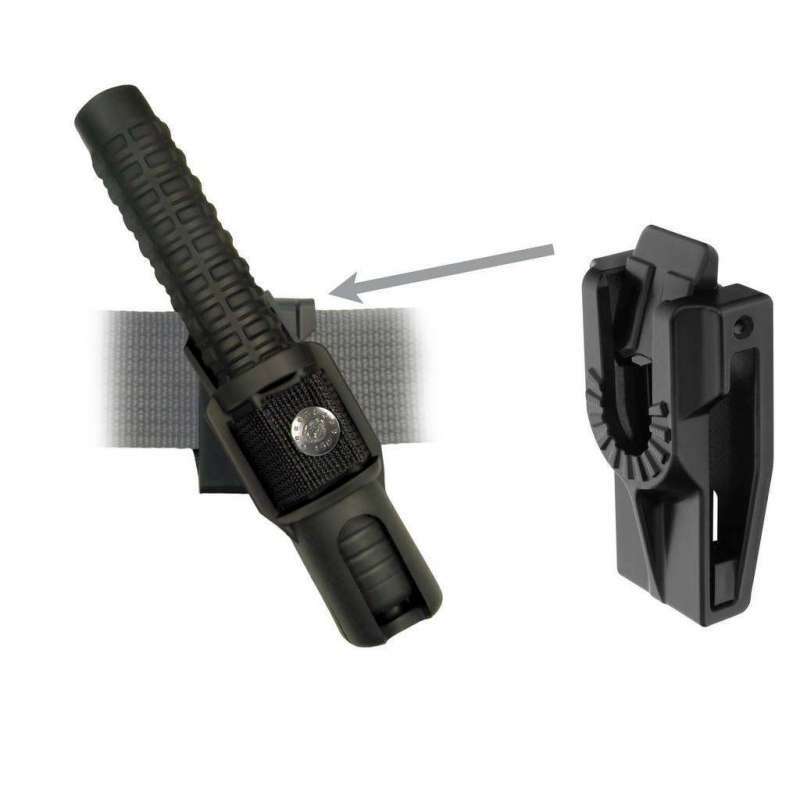 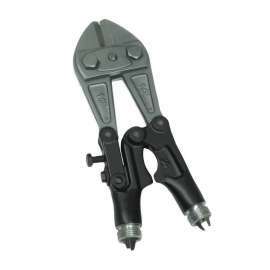 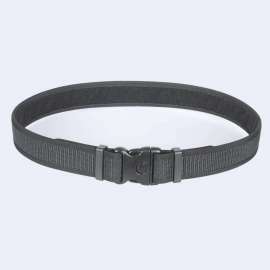 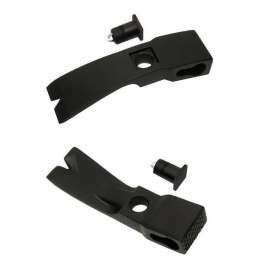 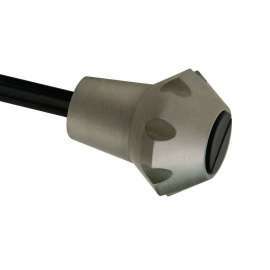 The clip can be adjusted to belt width from 32mm to 60mm with the use of an adjustable stop with two bolts.